The Legislature’s Capital Budget Overview Committee approved two pieces of legislation that resurrect a Capitol Corridor rail study in New Hampshire and allow using toll credits as a match toward a $1.5 million purchase in Nashua for a future park-and-ride – which one day may include a rail station. “Let the church bells ring!! !” Greater Nashua Chamber of Commerce President Chris Williams posted on his personal Facebook page Wednesday, sharing the news. 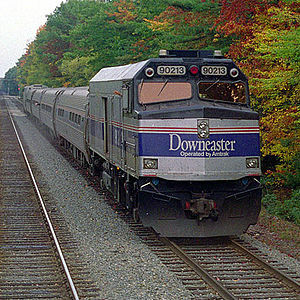 This is good news for those who feel that rail supports economic growth, such as New Hampshire Businesses for Transportation and Infrastructure. It’s good to see this study moving ahead.